To help you with your pet insurance research, I've created the reviews below. These reviews look at the medical coverage each company provides. While price is an important factor when choosing pet insurance, the type of medical coverage offered is much more important. 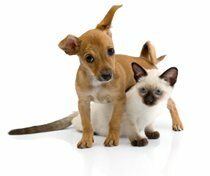 Use the reviews in conjunction with the information provided in the Guide to Pet Insurance to help you find the right policy for your pet. These reviews are created based on my research. While I do my best to stay current, information can change quickly. Also, terms and conditions can vary from state to state. Before buying a policy, confirm all information by calling the company or reading the most current policy.